IT’S NO SECRET THAT OUR EYES ARE ONE OF OUR BEST FEATURES. As the old adage goes, they are the windows into the soul. But for people who wear glasses, contact lenses or have medical issues, like cataracts and dry eyes among others, the eyes are seen as so much more than just a pretty facial feature. Our eyes provide one of our strongest senses and when they don’t perform as well as they could, we become worried and even fearful that our vision may be at risk. 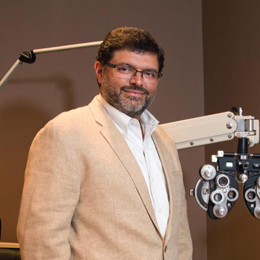 Luckily for the residents of South Jersey, Dr. Sanjay Kamat (NJ 25MB08531100), a wellestablished ophthalmologist with a practice in Yardley, Pa., has expanded south with a new location in Mount Laurel. Briggs Eye Specialists has been open for a little over a year now and is focused on providing the community with top-notch eye care while making sure each and every patient who walks through their door feels like family. Moving into the large, spacious commercial building, Dr. Kamat has revamped the entire office. With all new carpet, paint, a waiting area and an optical shop to boot, patients will feel welcomed in the clean and open environment. Whether being pre-tested by one of the technicians, or examined by the doctors, patients will experience exam rooms that are equipped with state-of-the-art electronic medical records and digital displays in every single room. While the makeover and technology is certainly a plus for Briggs Eye Specialists, Dr. Kamat and his associate, Dr. Cindy Chhedi (NJ 27OA00599600, Certification: 27OM00035500), are hoping to do away with large waiting rooms, long wait times and short, impersonal doctorpatient interactions. Dr. Kamat’s practice even has a clinical lab license from the government that allows the office to do eye-related lab testing on the premises. This is similar to getting blood work done right at your internist’s office. And while Dr. Kamat does have another private office in Yardley, Pa. and practices at both locations, he says the real leader in South Jersey is his right hand woman. Having been at the practice since the beginning, Dr. Kamat compliments Dr. Chhedi when he says she is superbly trained and a very competent eye doctor. “She has a knack for making sure patients feel welcomed and comfortable in the environment. Dr. Chhedi is excellent at diagnosing and treating a lot of medical diseases, as well as co-managing surgical patients,” says Dr. Kamat. 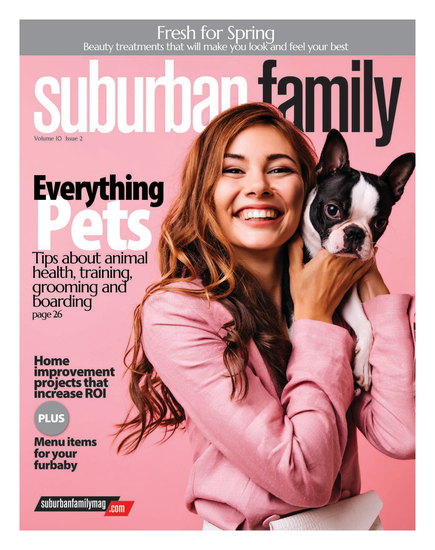 Published (and copyrighted) in Suburban Family Magazine, Volume 8, Issue 8 (October, 2017).